Doctor Patricia Pycroft is set to revolutionize the travel industry. With her eccentric colleagues, her work will make teleportation a reality for everyone. Although she has the support of her Christian husband, the secrecy of her work threatens to tear their marriage apart. As success seems sure, strange occurrences start to happen at the lab and her test subjects exhibit strange behaviors. Her life’s work may be teleporting more than matter. Will she achieve triumph or failure? Is there any explanation for the strange effects on her test subjects? There was not enough time to plan the political system on the Krinaus. Definitely not enough for any honeymoon before their son was born. Now time is irrelevant as humanity travels deeper through space. 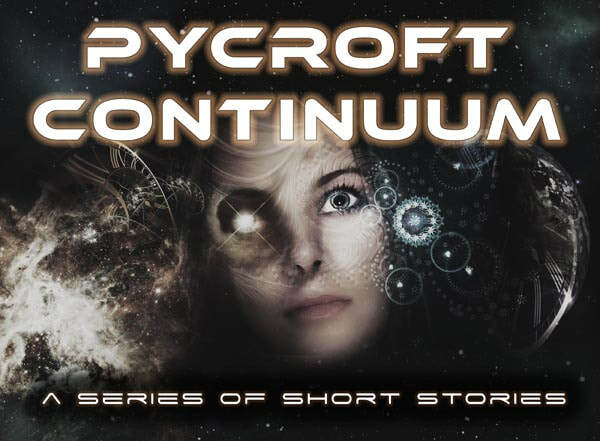 The First Cycle begins a series of short stories that follow the events after The Pycroft Particle. 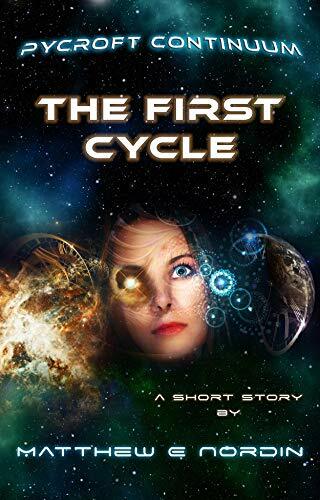 These tales span celestial distances and generations as humanity struggles to survive on a ship with one purpose: rebuild their civilization as far from the Earth as possible.